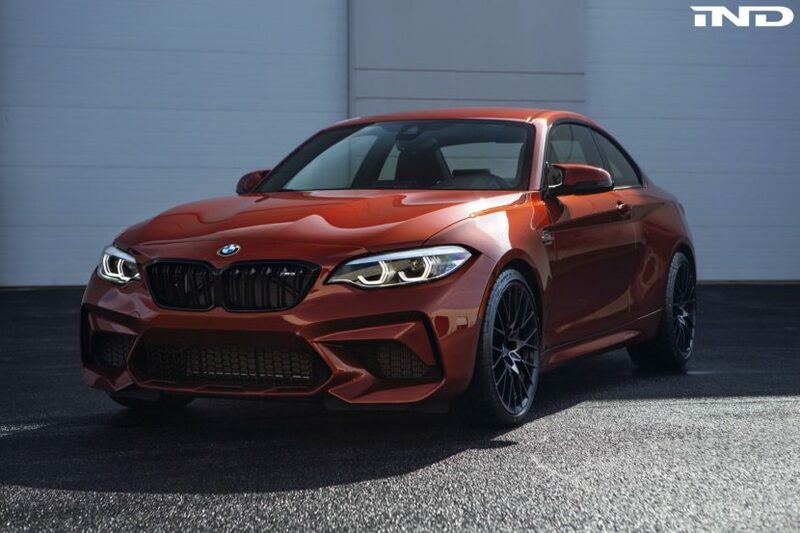 Chris K. from Chicago has recently taken ownership of a brand-new BMW M2 Competition, painted in the striking Sunset Orange color, matched with an equally beautiful interior. The car is currently being broken in (1,200 miles of driving required), but in the mean time, he’s decided to share some of his early on impressions, along with some great photos. If you’ve ever driven/owned the E46 M3 or the E92 M3, you know that revving the engine was how you made it move. That was the signature of a naturally aspirated M engine. Now we live in the turbo engine world or as I call it, “the mash the pedal” era. There has been some conversation about the lack of low end torque, and I’m not experiencing that. I feel the same rush of torque in 1st/2nd gear as the original M2 had. Maybe it’s settings or the torque curve, who knows. What I love is the linear feel to the power. I have driven many S55 M3/M4 and the S55 in the M2C certainly feels different. The power is not laid down like a dragster, but more like an electric motor – much more linear. 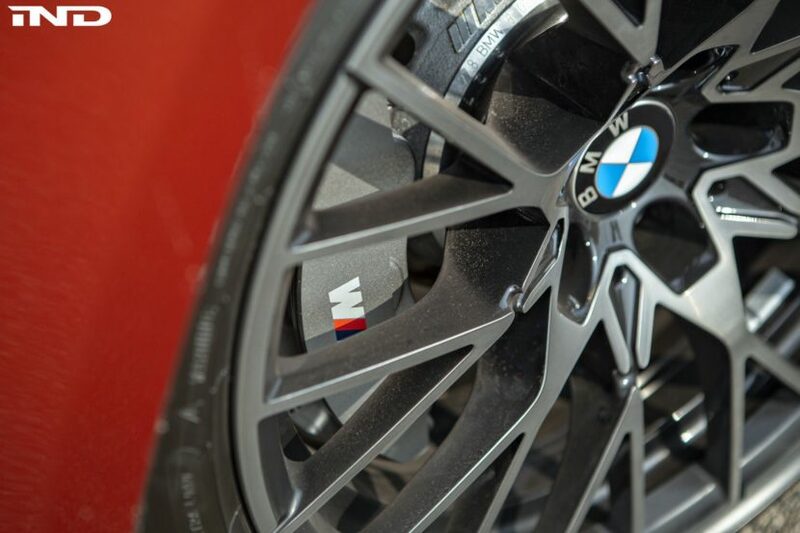 This may be BMW’s answer for the loss of traction that most M3/M4 suffer from. 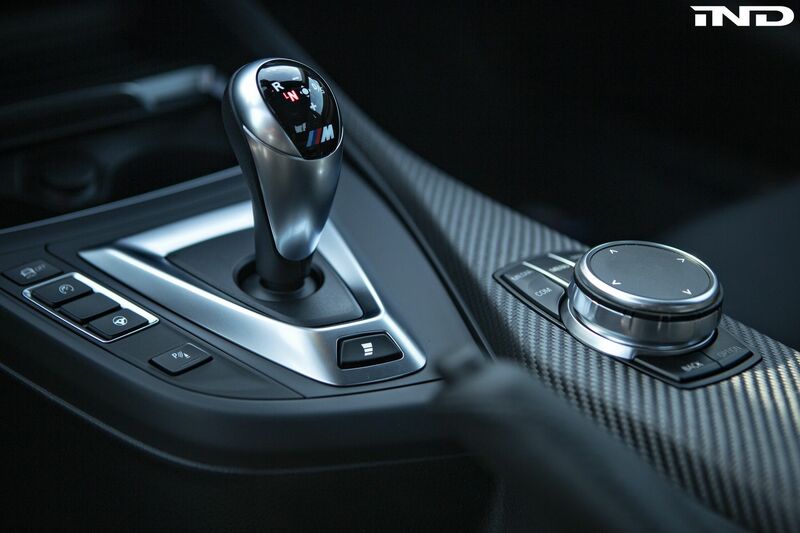 So in in my humble opinion, it pulls effortlessly, and pulls….until I stop at 5K rpm I have no complains about the engine or torque. It’s buttery smooth and the 7500 Redline is going to be insane. Note: Since the DCT transmission part has not changed, OG M2 owners should make sure they have the latest software update. 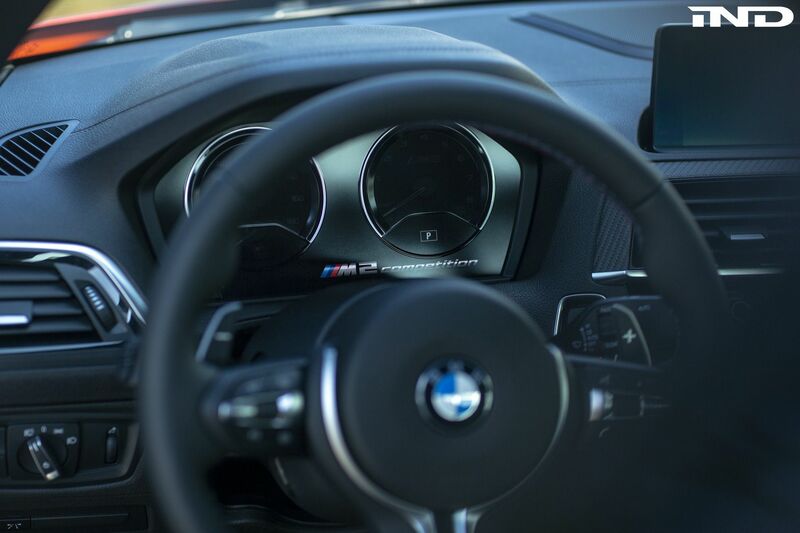 Where do I start with steering… After driving on various roads, parking lots, etc., I feel that BMW has definitely improved the steering. Again, it’s just software, but it’s starting to “feel” more like hydraulic. What do I mean by that? Well it’s hard to explain, but the steering feels more natural – less like the car is trying to figure out what I’m doing. Does the front end feel tighter? Probably, but I haven’t driven my OG M2 for a few months and I don’t remember the OG M2 feeling anything but tight! I am 6′ tall, and a wide framed guy. 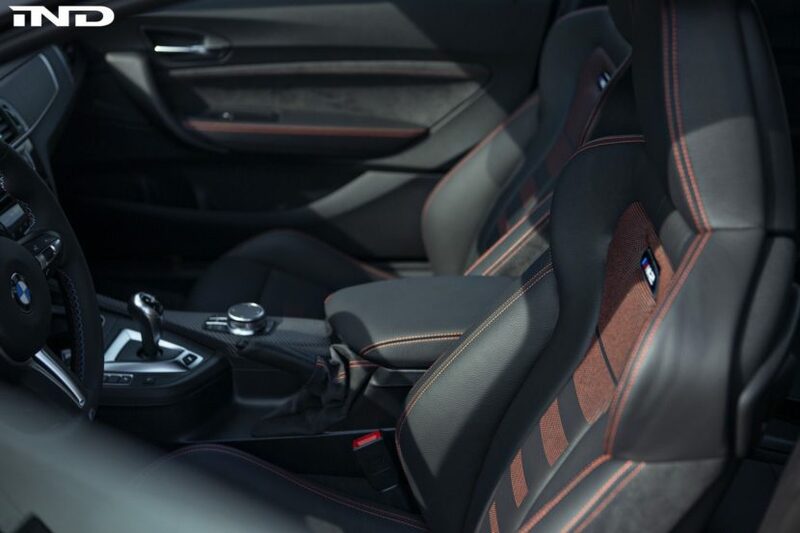 The new M seats are much better suited for my body type. They are supportive and very comfortable. I was always fidgeting in the OG M2 Seats. In my opinion, these are better than the OG M2 (for me). This is totally subjective. I have the Orange stitching and they look amazing, by the way. The M logo lights up on the seats, add +10hp. I like a little bling. For the PC nerds…Too bad it’s not RGB. We need so much more of that. NOT! I like the new iDrive, but it’s a marginal (if any) improvement over the idrive I had in my OG M2. It was already great. The Harmon Kardon sound system sounds equally as good as the OG M2. Turn off the Active Sound for a massive improvement. I really like the LED headlights, they are bright and aimed correctly by my standards for once. I had a pre-LCI M2, so the LED turns (front and rear), and the LED tails are also a welcome addition. Active Sound is not nearly as intrusive on the M2C as it was in my OG M2. Dare I say you could even leave in on? And yes there is a slight ASD sound drone at 2K. Once I coded it off, you finally hear the exhaust rumble the way it should be heard. Yes sir, it does have a rubble as you move about at low RPM. Here comes the most controversial part of my review and the one of the most argued topics after MT vs DCT. It’s the S55 sound. When the S55 M4 first launched and I heard the original exhaust note, I said “what the hell was that??! !” C’mon, I was driving a glorious S65 powered E92 M3! The crown jewel of BMW sound to me. As most know, ZCP made a massive improvement to the M3/M4 sound. I believe there was a rumor of a slight sound improvement even before ZCP. Can’t remember. Now we have the M2C. Please folks, this is just my two cents. If you push the car I can definitely hear M3/M4 ZCP notes in the exhaust (love it or hate it). I have no issues with it, it’s a tad raspy like the E46 M3. To be honest, for normal driving it just sounds throaty, no rasp. If it’s not your cup of tea, don’t worry. A mid pipe, MPE, or an aftermarket solution will make it sound the way you want it. 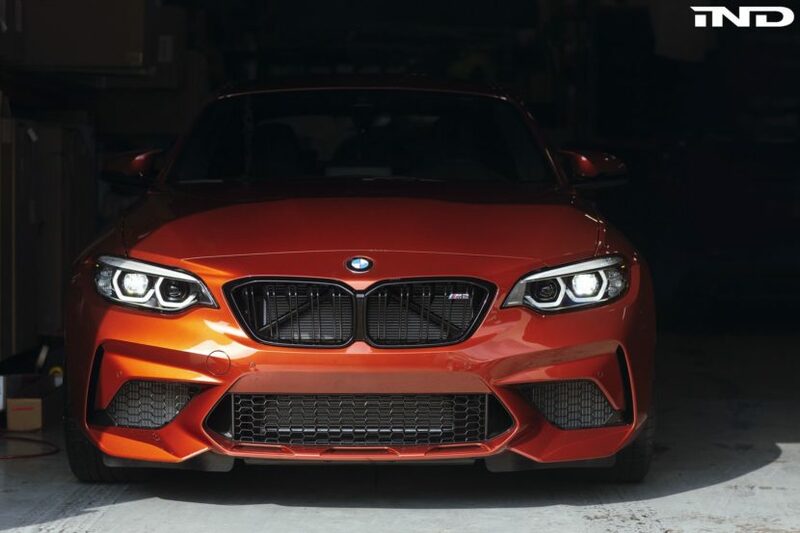 I think BMW did a fine job of making the M2C sound as good as it could. I have no issues with the sound. The exhaust can is so dang big in order to help change the S55’s sound on the M2C, that now it’s the size of a Mack Truck’s gas tank. It’s also possible that the exhaust can’s size was engineered to work with the US and the EU’s particle filter without making two different part numbers. Keep in mind, that the exhaust can on the G series M cars is just as big. It is what it is. So does the OG M2 exhaust sound better than the M2C? Why does it have to be better or worse? It’s just a different sound. I like both of them! I’ll just say it…I hated” the 788 wheel when the M2C launched. Too busy, and good grief these will be hard to clean. Well, just as the 666 wheels grew on me, so did the 788s. The black 788 wheels now look just fine to me. What is it about human beings and our perceptions? I have cleaned them, and it wasn’t that bad. I still love the 437s, but the 788s seem to fit the M2C. I listed the weight as a pro and con. Con, well it’s more weight. Strangely, that extra weight up front makes the ride smoother. There is no doubt in my mind, that the M2C rides smoother than my OG M2. Maybe I am full of it, but more than one person made the same unsolicited comment while in the M2C: “It feels smoother on the road”. Can I feel the extra weight? Not really. I recently lost 20 lbs since driving my OG M2, so I’m getting closer to OG M2 weight. FYI – I have not tracked the car yet. Ok, holy crap, these brakes have bite! For the first 200 miles I had get used to them. I found myself paying extra attention to my brake modulation when coming to a stop. As I added more miles, either I got used to them or they just finally bedded. I like the silver calipers. The color goes with every exterior. My car was delivered with Michelin tires. 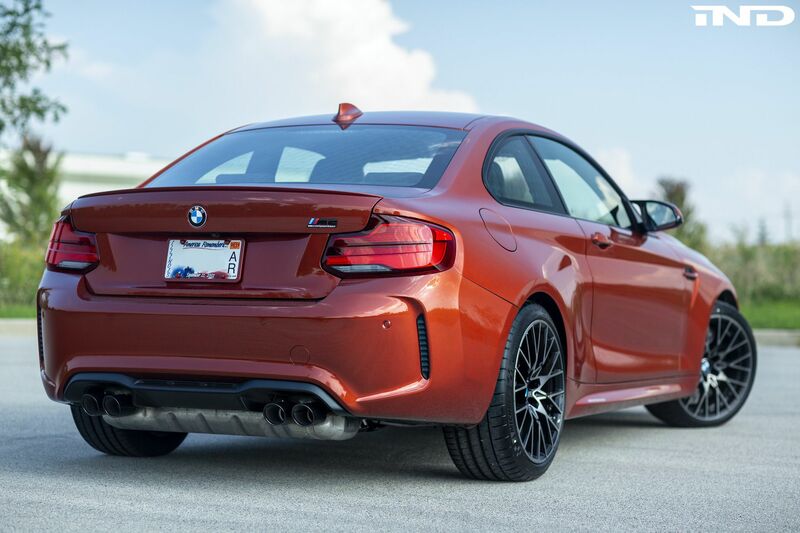 The BMW M2 Competition is the evolution of the OG M2. 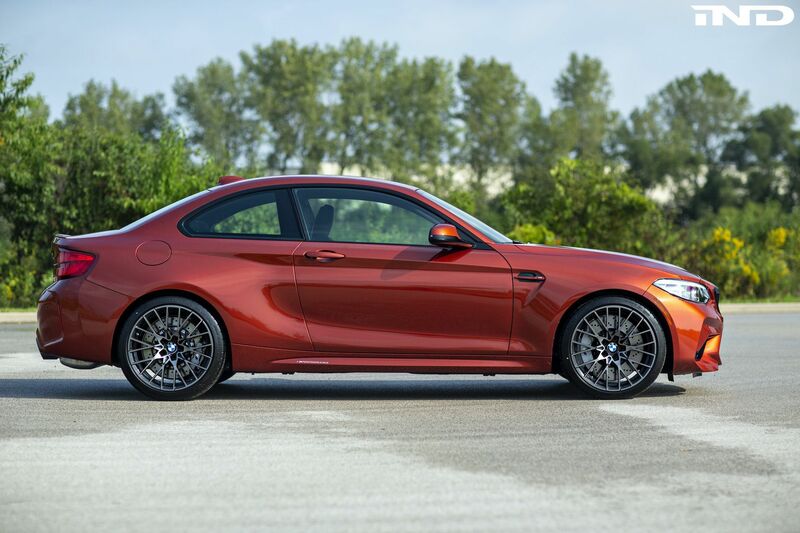 Just as the next gen M2 will be the evolution of the previous (aka M2C). This is just how it works. 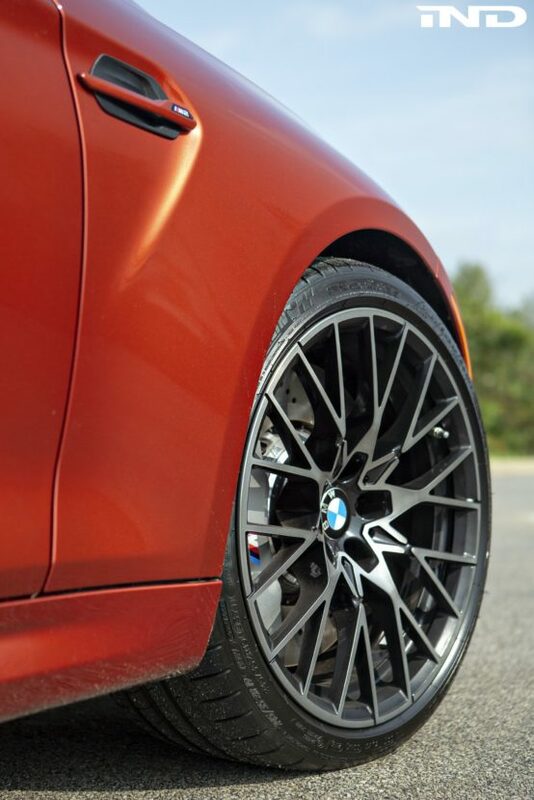 If you have an M2C or M2, be proud that you drive one of the best BMW has ever made! I often remind myself of how fortunate I am to be able to afford one of these machines. I humbly suggest the next time you are ready to argue to the death about (MT vs DCT) or (N55 vs S55) that you step back and realize how many people on this planet will never even own a BMW. So…I love my M2C. I love the color, the stance, etc. If you are in the market, just do it!